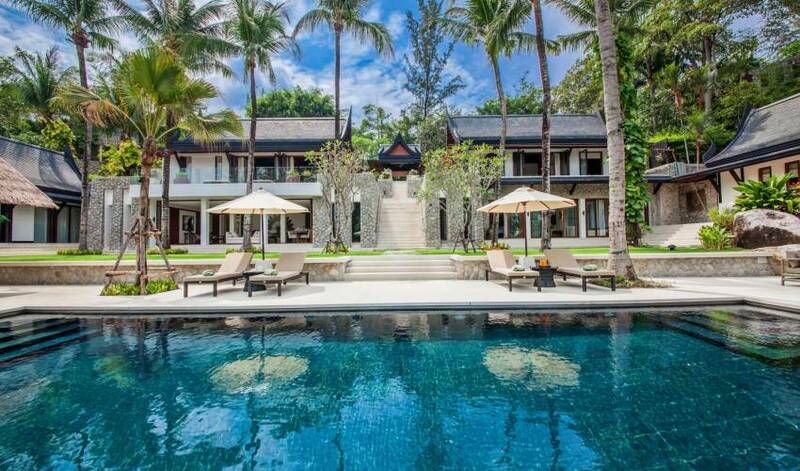 Welcome to the magnificent Villa Analaya, setting the standard for 5-star accommodation in Thailand. 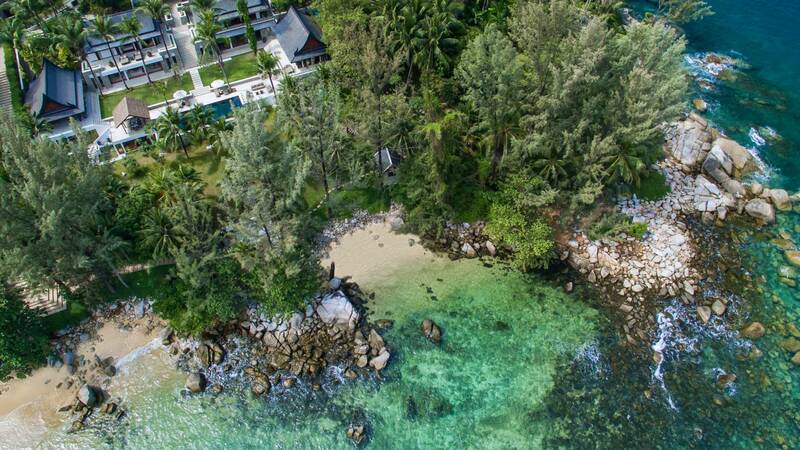 Overlooking your very own private beach and boasting an enormous centrally located infinity pool with manicured lush tropical garden surrounds, you will be truly spoiled in this luxurious, private hideaway. 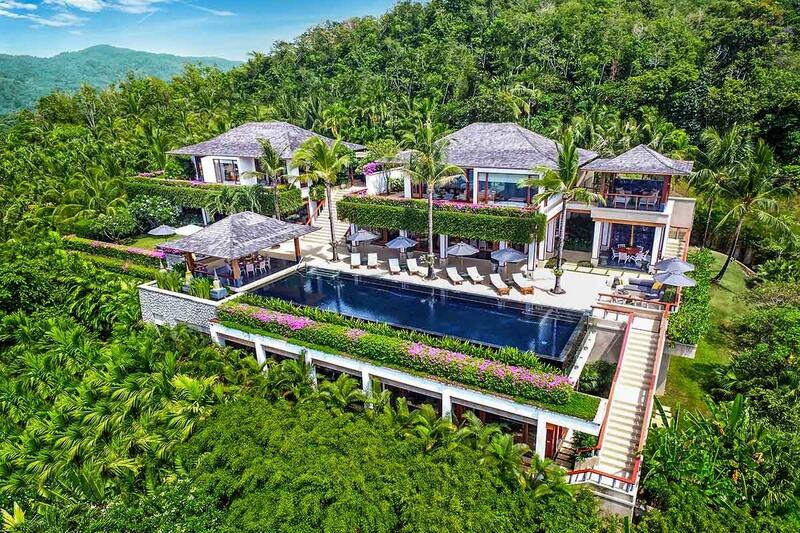 Set on its own prestigious Estate, the Villa comprises of five separate pavilion-style residences with the six bedrooms comfortably housing 10 people including children. An extra two people may be included upon request with the owner’s permission. 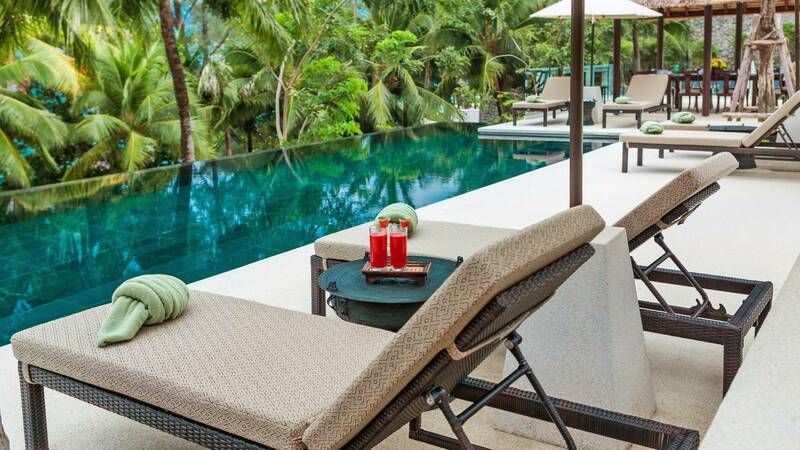 Many of the rooms overlook the idyllic Kamala beachfront and Andaman Sea beyond. 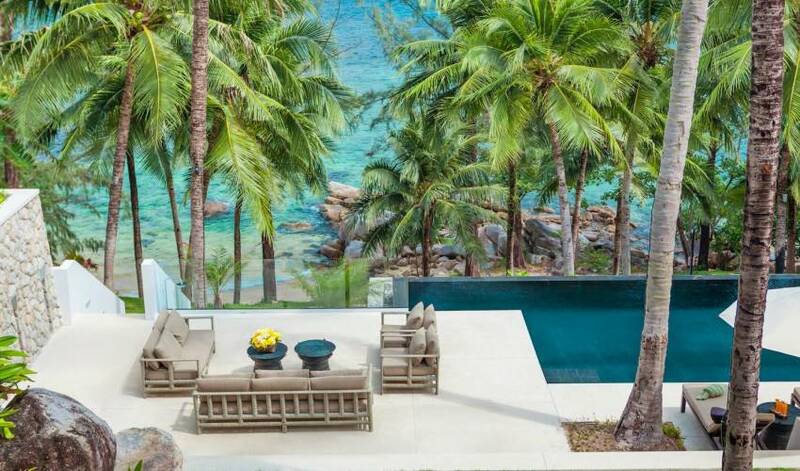 A short stroll through swaying palm trees brings you to a secluded beach making Villa Analaya an impressive destination in Phuket. 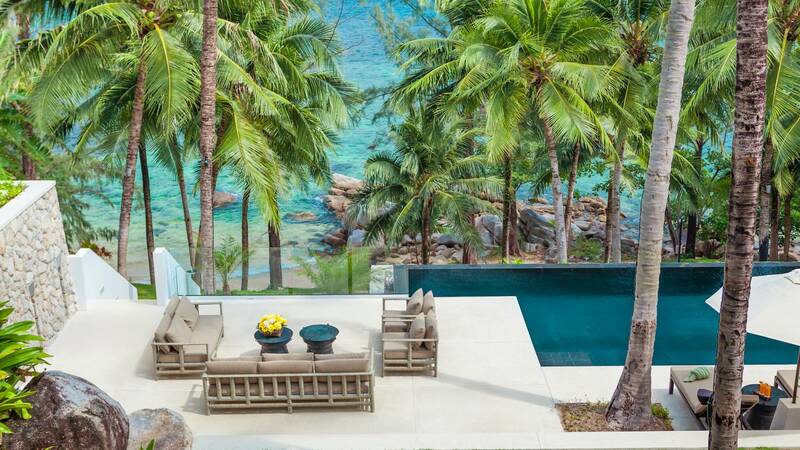 Furnished and fitted like a luxury hotel, at night the villa really comes to life with ambient lighting enhancing the stunning atmosphere of your beautifully appointed, exclusive luxury villa. 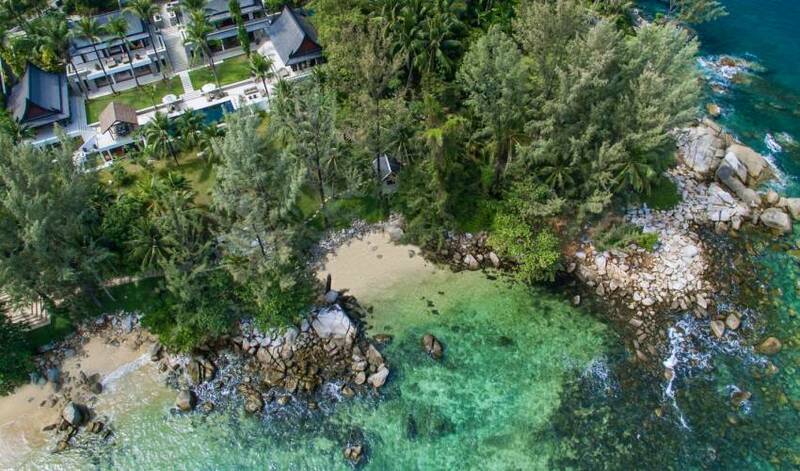 This completely private, prestigious residence is managed by Phuket Exclusive and is located just south of popular Surin Beach with its renowned Catch Club offering a mix of Asian and European-style dining and dancing after dark. 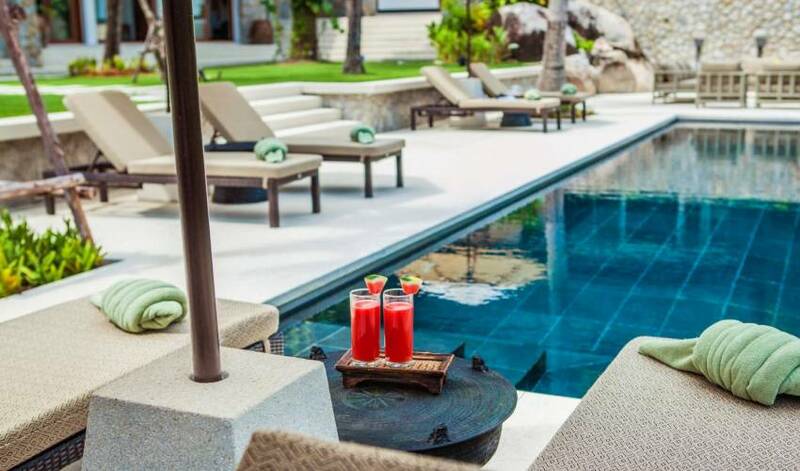 Or perhaps you’d like to venture out from your exclusive estate for a short drive south to the hustle and bustle of Patong and be dazzled by the vibrant nightlife and glitz of Phuket’s main strip. The accommodating staff at Villa Analaya will meet your requests with enthusiastic courtesy. 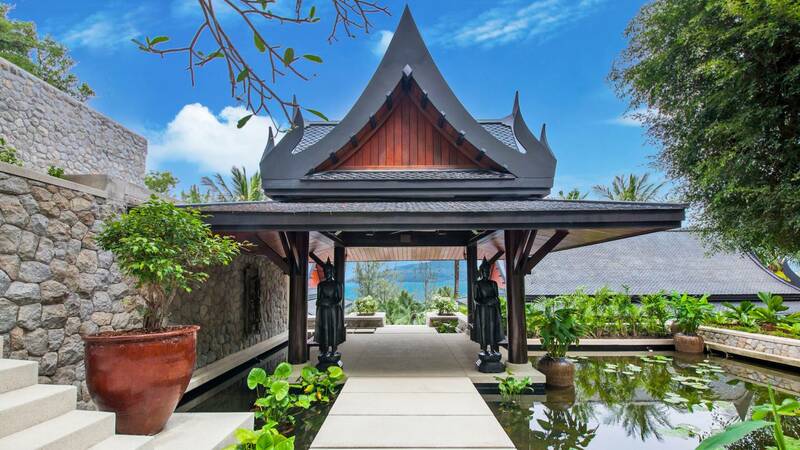 Included in the rate are the personable and friendly villa manager, personal chef, concierge, maids and security staff. 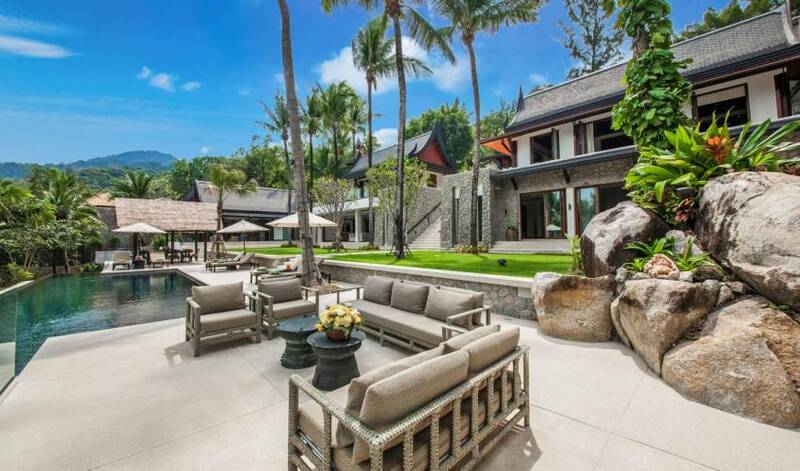 The villa sleeps a maximum of 10 people including children (Can be increased to 12 with owner’s permission). 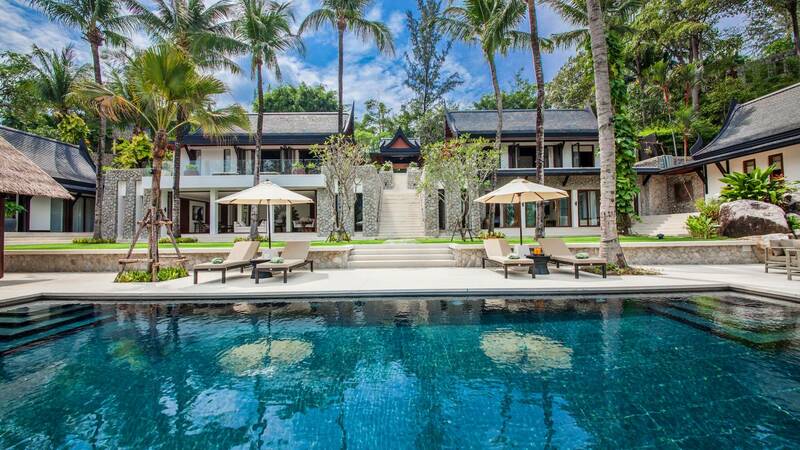 Minimum tip per bedroom used is THB 500 per night, to be paid to the Villa Manager. An additional tax of 7.0% will be applied. 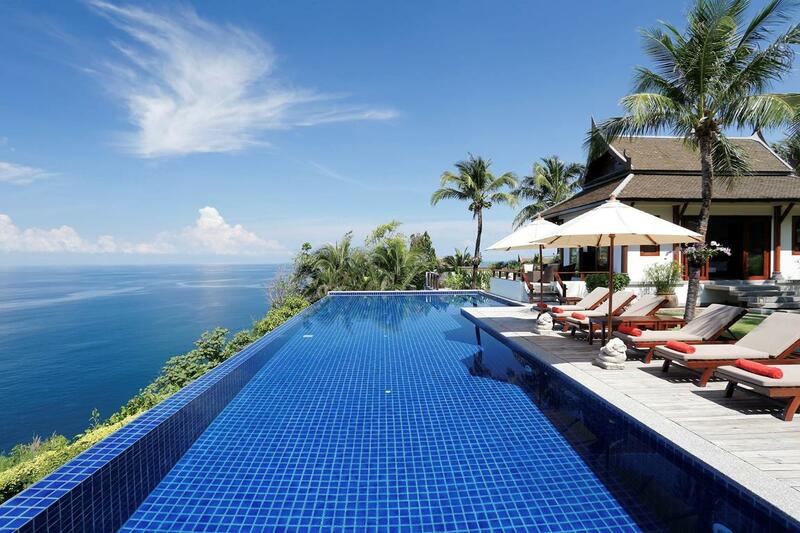 Phuket Heaven & Dreaming of Genie. 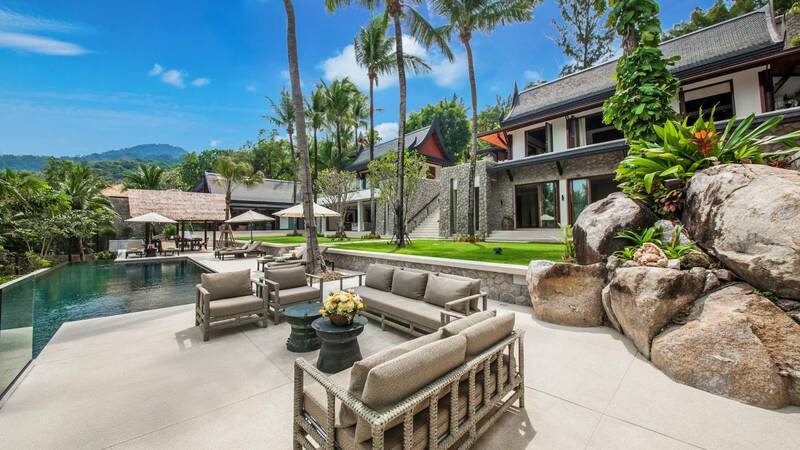 An easy drive north from the interesting madness of Patong is the superb Villa analaya perched on top of a small headland. Analaya comprises 5 separate buildings, each a huge airconditioned space with a huge bed, and a huge bathroom just like your wife always wanted! Most have huge baths as well, one has an outdoor secluded bath. There is easy access to your private swimmable beach, ringed by swaying palms and waving she-oaks. Kayaks for the kids and an horizon pool with Pwcs (airbeds) for the adults. The staff have all that happy, helpful Thai attitude in abundance. The manager was more a family friend. I asked for a cooking class? 'Sure, we'll do it around the pool' was the answer. 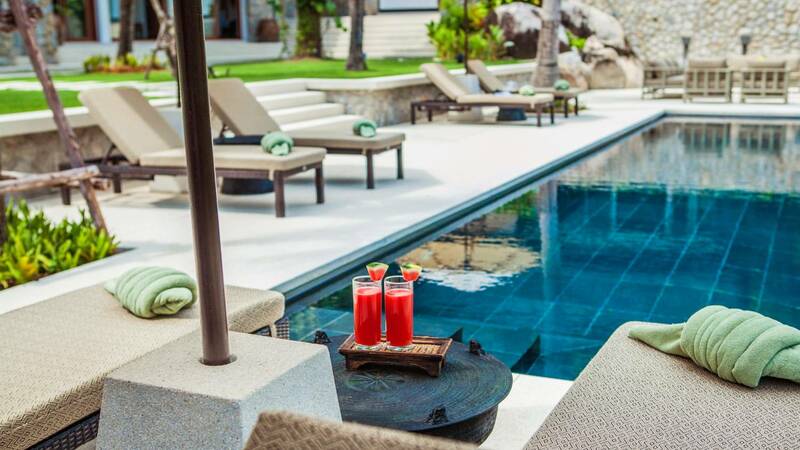 The in-house chef will make a Thai banquet every evening at your request. There is an angel of a maid who's there from 7am until we finish cocktails/dinner/more cocktails and one tiny martini in the late evening. I needed pineapple juice for lunchtime Mai Tais; no problem, the maid peels the pineapple, and juices it then and there! Lime juice every day for Gimlets? Genie has that ready in an instant as well. Analaya suits up to 10. We were 4 couples with 2 x late-teen boys as well as 2 x 10 to 13 yo girls. The communal breakfast area in a large cool alcove beside the pool is the site for impromptu gatherings any time of day. Sunrise over the mountain and the andaman Sea was greeted each day with a Tequila Sunrise in the outdoor 'Tea Pavilion'. I do mean sunrise...6:36am. Suggest half strength though so you can carry on with the rest of the day swanning along to nearby casual restaurants in beautiful elevated beach settings. The Thais cook so incredibly well! Prices for food and for the extremely well-made cocktails are great value. Quality of the food at the villa and in the nearby restaurants is simply excellent. Try one of the Beach Clubs along Surin Beach 15 min further north. Catch Club for the night-life and Diamond Club for the best, best, best food! 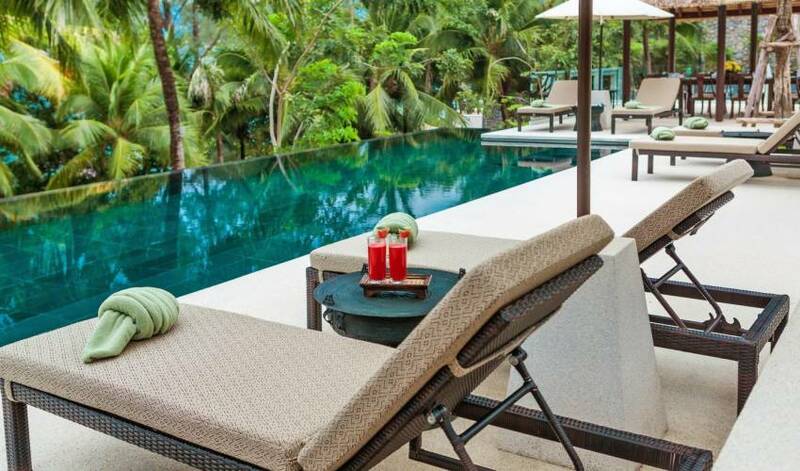 We had a fabulous stay at Villa 409 in Phuket. 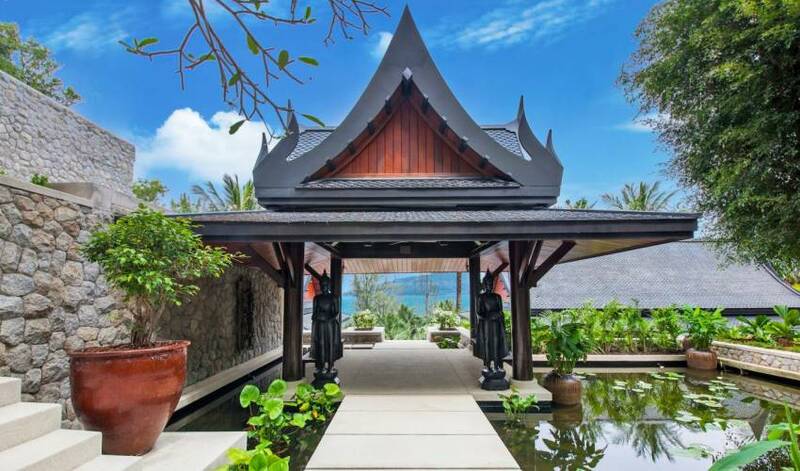 The Villa manager,Khun Narek, ws very attentive along with all the staff which made our stay even more pleasurable, and at times going out of their way to accommodate our requests including in-house pampering and cooking class plus experiencing the local cultures. We are now looking forward to when we might next return and would recommend this property to anyone wishing to visit the area.